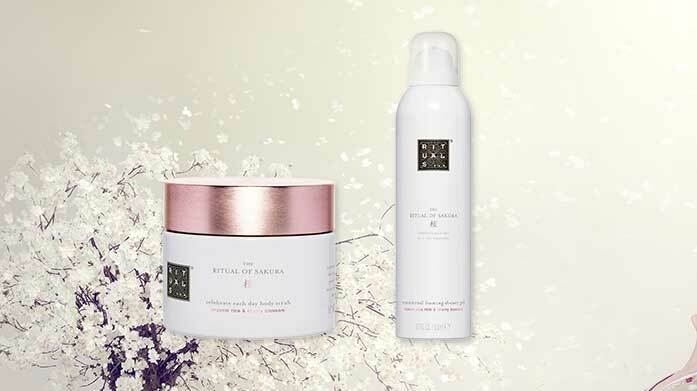 Inspired by wisdom and ancient traditions of Asian culture, Rituals cosmetics has created an ever-growing collection of luxury products for both home and body. Founded in Amsterdam, Rituals aim to enrich lives with their unique signature fragrances, meticulously designed and composed by some of the world’s finest perfumers. Each collection combines ancient traditions with modern technology to create their range of decadent scents. From their Ritual of Samurai collection to their Ritual of Ayurveda collection, Rituals has a fragrance that caters to every character. At the heart of the brand is their core belief that happiness can be found in the smallest of things. This starts with feeling good about yourself and learning how to savour the beautiful intensity of even the most ordinary things. It is their aim to transform everyday routines into more meaningful rituals while promoting the notion of relaxation and tranquillity through their exquisite range of body creams, mists, scrubs, shower foams and more. What’s more Ritual’s beauty products are at the forefront of environmentally friendly technology. With the brand constantly striving to use organic ingredients where possible and improve the way that production of their products impacts the environment. So, whether you’re looking for the perfect gift for a friend or to buy yourself that well-deserved treat, shop Rituals collections at reduced prices at BrandAlley.